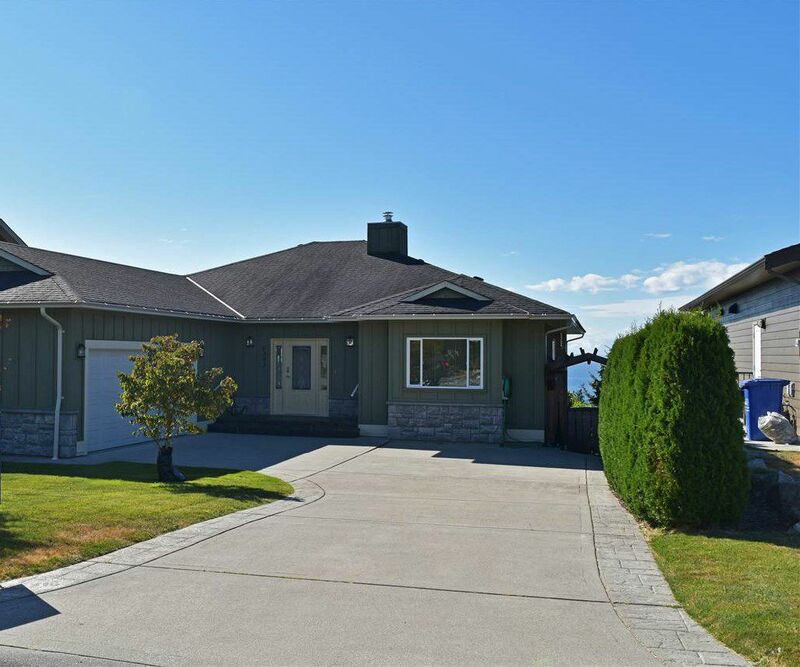 Superb West Sechelt location with Trail Island oceanviews. This level entry home welcomes you through to the dining area, kitchen and living areas with southern exposed sundeck. The living room features a fireplace with slate surround, kitchen is spacious with wood cabinetry and a den is located off the dining area. Masterbedroom is separate with large walk-in closet and ensuite. Second bedroom, office and laundry room up as well. Huge family room, third bedroom and full bath down. Over 1,200 sq.ft. of unfinished basement with possibilities and storage. Fully landscaped,fenced & close to recreation.